Just run it and you’re ready to use the app. Imagine the world of games and and exploration you can open up! And not just English, you can have it translate it into a number of languages. Which is awesome. Downside, this isn’t a perfect app, users have expressed complaints but if you’re dealing with an app that you can’t understand at all, it’s worth a try. 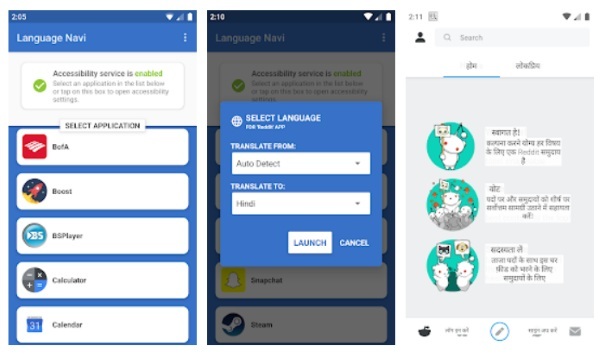 You can download Language Navi in the Play Store for free but there is also a premium version.